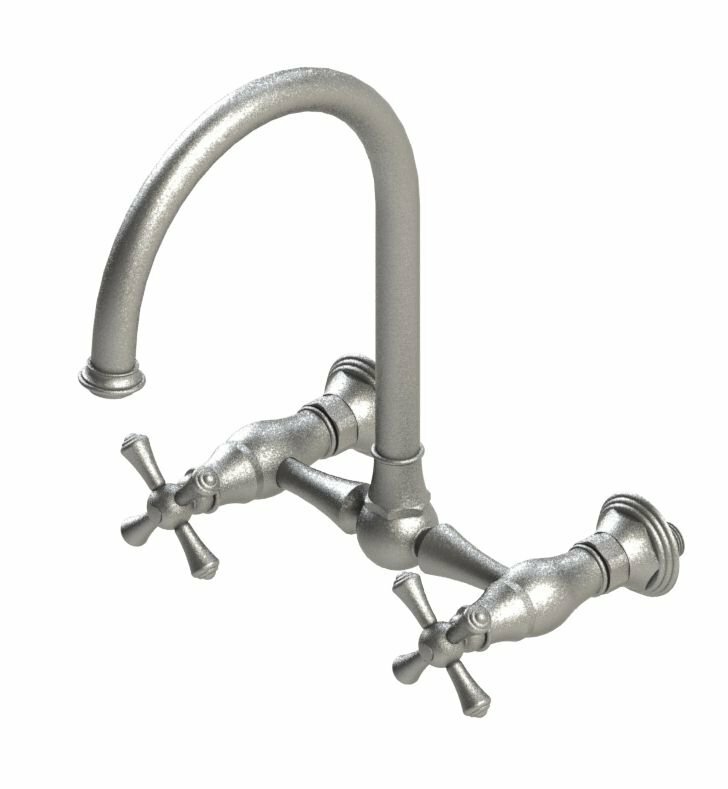 Rubinet faucets may be customized with a split finish configuration. 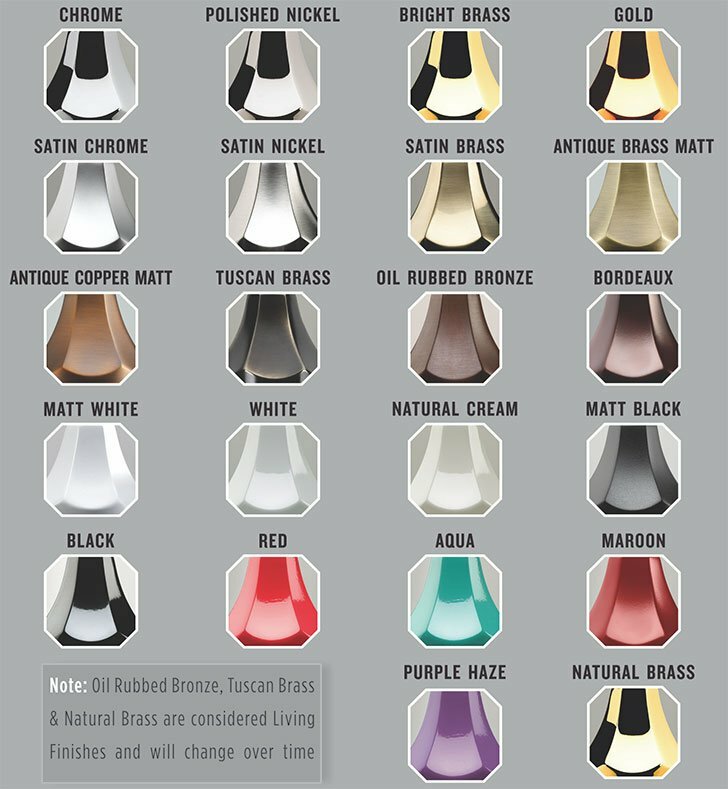 In the options below, "Main Finish" represents the color of most of the faucet. "Accent Finish" represents the color of various parts of the handles and spout. Please contact customer service to help you choose the best customization. Dimensions: W 8" x H 12 1/2" x D 8 1/2"